ahcancalED is celebrating its first anniversary on October 4th and there is a lot to celebrate! Over the past year, more than 2,800 of our members have registered and used the educational materials. Currently, it boasts over 240 unique products including a valuable series on Five Star, another that helps you understand QAPI and two guides on the 2017 Silver and Bronze Quality Award Program. Unlike many of the eLearning sites that provide educational resources, ahcancalED is FREE to members, utilizes the talent of members and subject matter experts in the creation of resources. It prides itself on creating “just in time” resources that address changes and issues in the industry. Within the sharED category, members have offered tools and resources they use every day to improve quality in their centers. Just last week, the ahcancalED team committed a new space to the Requirements of Participation. Recognizing that many will be looking for support and resources to feel confident in their understanding of these new regulations, the team made way for requirED. This space will make it easy for members to find just the resources they need at the very moment they need it. In the meantime, the Quality team is working hard to develop those materials that will take the place of the construction sign currently visible on the site. In an effort to ensure that we keep our eye on the prize during this frenetic time, the team has created the Quality Initiative Series-Succeeding In The Midst Of Change This eight part series provides in-depth instruction and strategies to help members effectively meet impending payment and regulatory changes. It is designed with the intent of helping members succeed by providing insights into the changes, providing specific strategies that can be adopted by centers, and offering a comprehensive array of tools and resources. If you have yet to join the over 2,800 members using ahcancalED, take a minute and learn something new! We recommend Patrick Kelly’s submission- Four Ways You Can Accidently Disclose Protected Healthcare Information! It provides a fun and simple look at ways that phones and social media can be a potential risk. Track Your NCAL Quality Initiative Goals in LTC Trend Tracker! A new dashboard and four new measures for assisted living in LTC Trend Tracker will be launched this fall. Assisted Living members will be able to track their progress on the four Quality Initiative goals: safely reducing hospital readmissions, improving customer satisfaction, improving staff stability, and safely reducing off-label use of antipsychotics. Additional measures to be added include hospital admissions and occupancy rate. The new dashboard will allow members to customize which measures they see on the dashboard and their community or organization goal for each measure. Assisted living members will be able to customize their reports based on which measures they want to include and the timeframe for the measures. Sign-up for LTC Trend Tracker today! Congressional leadership last night announced an agreement to fund the government through the November election. The plan goes with just days to spare as fiscal year deadline looms at the end of the month. The tentative deal on a continuing resolution would fund the government until December 9, setting up this Congress to once again come to a spending agreement before a new Congress takes charge next year. Negotiations between House Speaker Paul Ryan, Senate Majority Leader Mitch McConnell and House Minority Leader Nancy Pelosi led to an agreement to tack on an amendment to the Water Resources Development Act authorizing $170 million in aid for the Flint water crisis. Funding for the on-going water safety crisis in Michigan has been a top priority for Pelosi and Democrats, one which they said was a key component of any deal to fund the government. The House is expected to pass the water bill as soon as today. Much remains in the air, including ultimate passage of the Flint funding as well as Democratic requests for more Zika funding and how spending is offset, though both sides maintain they are resolute in funding the government before the deadline. "We're not shutting the government down," Pelosi told reporters Tuesday afternoon. An adjournment resolution in the amendment schedules Congress to leave a day earlier than the original calendar, finishing up the last legislative business on Thursday before returning to their districts until after the election. Congress will resume session on November 11, after the election has taken place but before new Members of Congress are sworn in, for a so-called “lame duck” session. What do the Quality Award Survey Requirements Mean? 2- Applicants will receive regular emails from Quality Award staff with deadline reminders, tips on applying for the award, and links to exclusive educational webinars. As potential applicants decide whether or not to submit an Intent to Apply by the November 17th deadline, one of the first questions they ask is whether they meet the Quality Award Survey requirements. This year, there are a revised set of survey eligibility requirements at each application level that applicants will have to meet. Applicants are encouraged to review all the specific survey eligibility requirements in the respective application packets in detail. Below are some answers to the most common questions that we receive on the survey eligibility requirements. 1- Can I still apply if the center does not meet the survey eligibility requirements? a. Yes, centers can apply and receive a feedback report even if they do not meet the survey eligibility requirement. They will simply be ineligible to receive the award. 2- Can the center recertify if it does not meet the survey eligibility requirements? a. If a center submits an application meeting the minimum requirements and fails survey eligibility they will still be able to recertify. 3- How do I calculate the cycle 1 and 2 weighted survey score for the Silver Quality Award and the 3 cycle weighted score for the Gold Quality Award? Quality Award staff has developed a resource for applicants to view their current survey eligibility based on the August 24, 2016 Nursing Home Compare release. This can be utilized by applicants to review their current survey eligibility; however, applicants are cautioned as this is preliminary and their survey eligibility will change based on what is available as of the application deadline (January 26, 2017) and award notification. As always, if you have any questions Quality Award staff can be reached at qualityaward@ahca.org. Update Your Professional Headshot in Nashville! The AHCA/NCAL 67th Annual Convention and Expo in Nashville is just around the corner and this year’s convention features a new activity for AHCA/NCAL members. Thanks to the generous support of PointClickCare®, the AHCA/NCAL Long Term Care Career Center, is hosting a Headshot Lounge for AHCA/NCAL member attendees. The Headshot Lounge will be open on Monday and Tuesday from 8 a.m. to 4 p.m. in room Jackson F. AHCA/NCAL members are encouraged to drop by the Headshot Lounge to get a free professional headshot. The Long Term Care Career Center’s Headshot Lounge will be a great opportunity to network and get a new personal photo emailed to you to use for your professional needs. The Long Term Care Career Center is AHCA/NCAL’s electronic job board dedicated to helping Members find and recruit top LTC professionals. Rates for posting job vacancies are affordable and give prospective employers far greater exposure than local ads and job boards by connecting to a network of more than 330 health care organizations and societies. Employers are also able to post vacancies as they occur and search resumes on the network. Of course, the LTC Career Center is always free for job seekers. And, job seekers are using the site! Job postings on the AHCA/NCAL Long Term Care Career Center, average more than 1,600 views a month. Now is the perfect time to give the Long Term Care Career Center a try because new users receive 25% off their first posting. Simply enter promo code New25off to receive this special discounted price. Employers who utilize the site also receive superior exposure through rotating job listings on AHCA’s home page – the web site where long term care professionals go for news and information. In addition, employers who post vacancies through the center receive bonus rotating listings on the Long Term Care Career Center home page. Be sure to stop by the Headshot Lounge in Nashville. We look forward to seeing you there. The National Center for Assisted Living (NCAL) has named Patricia (Pat) Giorgio, the president of Evergreen Estates, the 2016 recipient of the Jan Thayer Pioneer Award. With nearly 25 years of experience owning and operating assisted living communities, Giorgio has served in many leadership positions and championed quality improvement through myriad projects and efforts. NCAL created the Jan Thayer Pioneer Award in 2015 to recognize individuals who have moved the senior care profession forward, positively affecting the lives of those served and those who serve. Recipients must demonstrate dedication, leadership, and considerable contributions to the senior care profession. The award is posthumously named after the first Board Chair of NCAL and assisted living owner and operator Jan Thayer. Additionally, her expertise on assisted living trends, performance measures, bereavement, hospice and LGBT issues has made her a sought after speaker across the country. Giorgio also collaborated with the University of North Carolina and the Center for Excellence in Assisted Living on two community-based participatory research projects. The first was measuring medication errors in assisted living, and the second was developing a toolkit for person-centeredness in assisted living. Ms. Giorgio will be presented the Pioneer Award during a formal ceremony at the 67th Annual AHCA/NCAL Convention & Expo in Nashville, Tenn. this October. Twenty-one states' attorneys general, the U.S. Chamber of Commerce, and more than 50 other national and Texas business groups filed a legal challenge on Tuesday, September 20th to the federal overtime rule set to take effect on December 1st. The new regulations revise the overtime exemptions for executive, administrative, and professional employees, commonly known as the “white collar” exemptions. The group is arguing that the Department of Labor (DOL) exceeded its statutory authority in issuing the regulation and violated the Administrative Procedure Act, and holds that the rule will result in increased employment costs that could further impact services and workplace flexibility. The Chamber lawsuit also states that the rule departs from the intent of the Fair Labor Standards Act, that the salary threshold set by the rule is “excessively high,” and that it ignores regional and industry differences. The complaint argues that the salary threshold cannot be updated without a rulemaking process or further input from affected parties. The lawsuit was filed in the U.S. District Court for the Eastern District of Texas. The full text of the final rule can be found here. For more information, including a memo from ACHA/NCAL’s legal consultant Jackson Lewis and other Department of Labor resources, see the AHCA/NCAL website under Workforce. Members will need their login information to access the memo and other resources. New research conducted by AHCA/NCAL found that nursing facilities with at least one RN certified in gerontological nursing by the American Nurses Credentialing Center (ANCC) are more likely to receive a higher star rating on the CMS Quality measure. The research found that 45 percent of nursing facilities received a 5-Star quality rating as compared to 33 percent nationwide. In addition, AHCA/NCAL research found that nursing facilities with at least one ANCC board certified nurse were twice as likely to receive an overall 5-Star rating from CMS and far less likely to receive an overall 1-Star rating. AHCA/NCAL Gero Nurse Prep is on sale now and each RN registrant can save $100 off his/her Gero Nurse Prep by entering promo code STARS2016 (all caps) at checkout. That means RNs who are interested can become board certified for less than $1,000 ($590 sale price for AHCA/NCAL Gero Nurse Prep and a separate $395 to take the ANCC exam). AHCA/NCAL members seeking to increase their star ratings from CMS are encouraged to examine ANCC certification for their RN leaders. Watch this video to learn more about AHCA/NCAL Gero Nurse Prep or click on the course preview to get a quick view of this engaging on-line curriculum designed to help RNs pass the ANCC exam. Reach for the stars and check out AHCA/NCAL Gero Nurse Prep today. Remember to enter promo code STARS2016 and save $100 off the registration fee. The sale ends November 30. The Long-Term Care Statistics Branch at the National Center for Health Statistics (NCHS) released new products from the 2014 wave of the National Study of Long-Term Care Providers (NSLTCP). The new products include the Long-Term Care Providers and Services Users in the United States—State Estimates Supplement: National Study of Long-Term Care Providers, 2013–2014, which includes data on all five long term care sectors (residential care community which includes assisted living, nursing home, home health, adult day services center, and hospice). The report covers various characteristics including organization, staffing, services provided, practices such as screenings, and special care (e.g. dementia care). NCHS published information on the use of electronic health records and health information exchange among residential care communities and adult day services centers. Two new QuickStats were published using 2014 NSTLCP data, these new charts compare staffing hours across sectors and one comparing selected services provided across residential care communities and adult day services centers. LTC Trend Tracker has a new publication that will be sent directly to your email inbox. This quarterly report will highlight your facility’s progress on Five Star performance, the quality initiative, and help you understand your survey rating and score breakdown. Check out the new user-friendly design and easy snapshot of data. The figures and colorful graphics are designed to help improve patient care with tailored tools that will allow your organization to easily monitor hospital readmission rates, staffing, patient dosage, length of stay, spending, and more. Also, check your competitive standing among other healthcare facilities with instant feedback on your organization’s performance compared to your area. Join the webinar next Wednesday, October 5th at 2:00 PM Eastern Time to get a sneak preview on what Your Top Line will look like next month. Current, registered users of LTCTT will receive this quarterly report automatically. You won’t even need to log in. It will be sent directly to the registered user’s inbox. Are you registered for this web-based tool that is an exclusive benefit to AHCA/NCAL members? Get your account setup now and you won’t miss out on these easy to view performance targets and results. Please email help@ltctrendtracker.com to get started today. PBJ Requires Hours Worked and Paid! The deadline for nursing centers to gather and submit Payroll-Based Journal (PBJ) data for the first mandatory quarter is November 14, 2016. As you get ready, it’s important to remember that the system requires the reporting of hours per day and per employee that are worked. It’s also important to keep in mind that the employee must be paid for all of the hours reported. 1) Are facilities required to report hours paid or hours worked? 2) I know that only the hours paid for a salaried employee shall be submitted. Can you clarify if I can submit the hours for an extra shift that my salaried employee works, if I pay them a bonus for these additional hours? The hours may be reported under the following conditions: The payment must be directly correlated to the hours worked and must be distinguishable from other payments. (e.g., cannot be a performance-based or holiday bonus). Additionally, the bonus payment must be reasonable compensation for the services provided. 3) When considering reporting, realize that you can report fractions of time as follows. As always, consult the PBJ Policy Manual, FAQs, etc., for more information. Questions can always be sent to staffdatacollection@ahca.org. The Centers for Medicare and Medicaid Services (CMS) has released a Volume 2 QAPI Brief which focuses on adverse events. It includes a list of potentially preventable adverse events and a medication related adverse events case study. The last Quality Assurance and Performance Improvement (QAPI) brief was issued in 2013. The next QAPI brief is expected to be on care and infection related adverse events. Reducing Unintended Health Care Outcomes is one of the goals of the AHCA Quality Initiative. Visit the AHCA Quality Initiative site to learn more and to review available resources. NCAL’s Risk Management Work Group prepared a new resource for members to provide key considerations for assisted living communities when residents and their families hire private caregivers to provide supplemental services and support. The tool kit also includes links to sample documents, including a sample Private Caregiver Agreement and several state requirements for these caregivers. Personal caregivers (PCGs) - also called private duty personnel or private sitters - hired by assisted living resident’s family can be important partners providing companionship and for the resident’s plan of care. However, PCGs are not community employees, nor can or should they be supervised by the community management; consequently, communities must consider management and liability issues. The article covers topics such as the types of policies and procedures that AL communities should have in place, training, and managing expectations. Last Chance to Register for NCAL Day! Do not miss the opportunity to attend the 10th anniversary of NCAL Day. Advance registration for the event ends today. NCAL Day has traditionally been a must-attend event for assisted living providers and the 2016 event is sure to exceed expectations. Keynote speakers Dr. Manny Alvarez, Senior Managing Health Editor for Fox News and Jim Carroll, a futurist, trends and innovation expert, will share their thoughts and insider information on future trends and workforce challenges in the profession. Learn more about each NCAL Day education session below, and then register for Convention, making sure you add your ticket to NCAL Day as part of your package. Adding NCAL Day to your full meeting package only costs $195. For those only attending NCAL Day, members can purchase a ticket for $495, non-members for $645. This session will include an overview of the ASPE Compendium, which is a comprehensive review of assisted living regulations in each state including trends and changes. An overview of emerging trends including new payment models, the importance of data in working with other providers, and other changes in the industry. Measurement and quality improvement has lagged in assisted living. To address this shortcoming, an environmental scan was conducted to identify and evaluate evidence-based tools (measures and instruments) for quality improvement in assisted living and other health and long term care settings, with a priority focus on five domains: person-centered care, medication management, resident/patient quality outcomes, care coordination/transitions, and workforce. · Steve Schwartz, CEO, Wave Sensor, Inc.
As assisted living and senior care continue to change and evolve, so do the needs surrounding technology both for providers and residents. During this session, attendees will hear from three leading companies in the technology space on what innovations and changes are on the horizon for assisted living and how providers can ensure their operations keep up with the demand and need to be cutting edge. There is a growing need to make more assisted living available as the country braces for the unprecedented number of seniors that will require housing with services in the next 15 years. This session will provide a blueprint for how develop and operate assisted living for all income levels, but especially those seniors with low to moderate incomes. On September 6, AHCA/NCAL and over 50 national organizations sent a letter of support to the House Committee on Education & the Workforce on the Recognize, Assist, Include, Support, and Engage (RAISE) Family Caregivers Act (S. 1719/H.R. 3099). Introduced by Senator Susan Collins (R-ME), Senator Tammy Baldwin (D-WI), Representative Gregg Harper (R-MS-3), and Representative Kathy Castor (D-FL-14), this legislation would implement the federal Commission on Long-Term Care’s bipartisan recommendation that Congress require the development of a national strategy to support family caregivers. The bill would create an advisory body to bring together relevant federal agencies and others from the private and public sectors to advise and make recommendations. The strategy would identify specific actions that government, communities, providers, employers, and others can take to recognize and support family caregivers and be updated annually. Last December, the full U.S. Senate considered and passed this legislation. It now awaits House consideration. The letter urges the Committee to make this bill a priority, and to take prompt action on it this month. 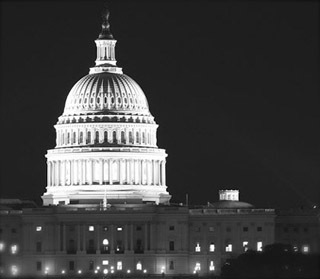 The “Future Leaders” conference starts today and over 30 new AHCA/NCAL advocates are in Washington D.C. to receive leadership training, learn about current skilled nursing legislative issues, and ultimately lobby their members of Congress at a critical time for post-acute care (PAC). The 35 advocates, all representing different states, will travel to Capitol Hill Thursday just as lawmakers are nearing the final negotiation on legislation that would fund the government past the end of the month. The continuing resolution to appropriate funding is the last piece of must-pass legislation on which members of Congress must act before they return to their home states to hit the campaign trail one last time. The fly-in comes at a critical time, as the Way & Means Committee is considering changes to the way in which post-acute care providers receive Medicare payments. The Medicare Post-Acute Care Value-Based Purchasing Act of 2015 (H.R. 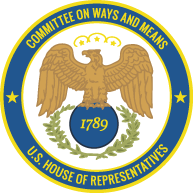 3298), sponsored by the Committee Chairman, Rep. Kevin Brady, seeks to reward PAC providers based on performance and cost savings and move away from the current volume-centric system. AHCA/NCAL and several other PAC providers have denounced the legislation in its current form and have instead proposed a list of changes that need to be made to the bill in order for it to garner support. The changes focus on ensuring that providers are not receiving, on whole, a cut to Medicare rates and ensuring quality, not cost savings, is kept as the primary objective of the new program. The “Future Leader” advocates will speak to their members of Congress about these changes and urge them and their colleagues to take into account the concerns of AHCA/NCAL and the PAC community as this bill moves forward. Advocates will also urge lawmakers to support The Improving Access to Medicare Coverage Act of 2015 (S. 843/H.R. 1571), which removes the observation days barrier to patients seeking to receive a skilled care Medicare benefit after staying three days in a hospital. The Government Accountability Office (GAO) released a report on long-term care workforce, examining the available federal and state data about direct care workforce and actions the Health Resources and Services Administration (HRSA) has taken to overcome data limitations. The National Center for Health Workforce Analysis, part of HRSA, is responsible for conducting projections of the supply and demand for the U.S. health workforce. HRSA reports the agency has not been able to develop projections of the supply of direct care workers due to the insufficient data. These projections are vital to enabling policymakers and stakeholders to address workforce challenges through policies and planning. The GAO had two recommendations in the report: 1) that HRSA work on producing projections of direct care workforce supply and demand and 2) that HRSA address the data limitations in order to produce the projections. The Department of Health and Human Services (HHS) concurred with both recommendations. HRSA is currently developing demand projections for certain direct care workforce occupations. The US Department of Health, Office of Inspector General (OIG) has released a report, Medicaid Fraud Control Units FY 2015 Annual Report, that reports that Medicaid Fraud Control Units (MFCUs) reported 1,553 convictions. Seventy-one percent of these convictions involved fraud and 29 percent involved instances of abuse or neglect. For the same time period, units reported 731 civil settlements and judgments and $744 million in criminal and civil recoveries. Nearly 1/3 of those convictions involved personal care services attendants or other home care aides. Eleven percent of those convictions were of nurse aides. Another 11 percent of those convictions were of licensed nurses, physician assistants or nurse practitioners. Drug diversion cases accounted for 8 percent of those convictions. Convictions over the past 5 years have increased, while the number of civil settlements and amount of recoveries have decreased. Overall, recoveries from assisted living facilities was $125,813 for criminal allegations; and recoveries from nursing care centers was $1,682,058 for criminal allegations and $2,835,186 for civil allegations. The US Department of Health and Human Services, Office of Inspector General (OIG) has released its updated List of Excluded Individuals and Entities (LEIE) database file, which reflects all OIG exclusions and reinstatement actions up to, and including, those taken in August 2016. This new file is meant to replace the updated LEIE database file available for download last month. Individuals and entities that have been reinstated to the federal health care programs are not included in this file. The updated files are posted on OIG’s website at http://www.oig.hhs.gov/exclusions/exclusions_list.asp, and healthcare providers have an “affirmative duty” to check to ensure that excluded individuals are not working in their facilities or face significant fines. Instructional videos explaining how to use the online database and the downloadable files are available at http://oig.hhs.gov/exclusions/download.asp. Given the penalties and recent government warnings, long term care providers should check the LEIE on a regular basis. AHCA/NCAL is once again a sponsor for the upcoming American Health Lawyers Association (AHLA) Long Term Care and the Law in San Diego, CA, in February 22-24, 2017. This program promises to be an exciting and informative meeting where some of the leading in-house and outside lawyers for the long term care industry will be presenting on legal, compliance, and operational issues faced by providers. AHLA offers CLE, CPE, NHA, and CCB credits for this program. AHCA and NCAL members also receive the AHLA member discounted rate of $625 – don’t miss this excellent educational opportunity. A new survey from Kaiser Family Foundation (Kaiser) finds that more workers are opting for high deductible health plans (HDHPs) with 29 percent of workers electing such plans in 2016 as compared to 20 percent in 2014. High deductible plans are compatible with Health Savings Accounts (HSAs) or are tied to Health Reimbursement Arrangements (HRAs) and feature lower average health insurance premiums than other plan types. Kaiser’s survey also found that annual family premiums rose an average three percent this year to $18,142. The modest increase is due in part to the growing popularity of HDHPs, according to Kaiser. In 2016, 29 percent of all workers were in such plans, up from 20 percent in 2014. In addition, the survey also revealed that the share of workers enrolled in Preferred Provider Organization (PPO) plans decreased to 48 percent in 2016 as compared to 58 percent in 2014. PPO plans typically have higher than average premiums. AHCA/NCAL members are saving money on their employee health benefit programs through AHCA/NCAL Insurance Solutions. One independent owner in Florida recently saved more than $1,000 annually per employee. To explore your health plan options (including HDHP and PPO plans) available through AHCA/NCAL Insurance Solutions, contact Dave Kyllo at 202-898-6312 or Nick Cianci at (202-898-2841) or email us at ahcainsurancesolutions@ahca.org. On September 13th, the National Academies of Science, Engineering and Medicine released a report on family caregiving entitled, Families Caring for an Aging America. According to the National Academies of Sciences, Engineering, and Medicine, “ At least 17.7 million individuals in the United States are providing care and support to an older parent, spouse, friend, or neighbor who needs help because of a limitation in their physical, mental, or cognitive functioning. The circumstances of individual caregivers are extremely varied. They may live with, nearby, or far away from the person receiving care. The care they provide may be episodic, daily, occasional, or of short or long duration. The caregiver may help with household tasks or self-care activities, such as getting in and out of bed, bathing, dressing, eating, or toileting, or may provide complex medical care tasks, such as managing medications and giving injections. The older adult may have dementia and require a caregiver’s constant supervision. Or, the caregiver may be responsible for all of these activities. With support from 15 sponsors, the National Academies of Sciences, Engineering, and Medicine convened an expert committee to examine what is known about the nation’s family caregivers of older adults and to recommend policies to address their needs and help to minimize the barriers they encounter in acting on behalf of an older adult. The resulting report, Families Caring for an Aging America, provides an overview of the prevalence and nature of family caregiving of older adults as well as its personal impact on caregivers’ health, economic security, and overall well-being. The report also examines the available evidence on the effectiveness of programs and interventions designed to support family caregivers. It concludes with recommendations for developing a national strategy to effectively engage and support them.” The full report can be found here. New research conducted by AHCA/NCAL found that the off-label antipsychotic use in nursing facilities with at least one RN certified in gerontological nursing by the American Nurses Credentialing Center (ANCC) were an average three to four percent lower than the national average in each quarter calendar years 2012 through 2015. Reducing off-label antipsychotic use is one of the goals in the AHCA/NCAL Quality Initiative. Mr. Ciolek will be one of a few panelists speaking on the guidelines, and he will be providing the skilled nursing center perspective. If you are interested in attending this briefing, you can RSVP by October 3 to Cindy Salinas at cindy.salinas@heart.org. Recently the Centers for Medicare and Medicaid Services (CMS) revised an educational tool titled: Quick Reference Chart: Descriptors of G-codes and Modifiers for Therapy Functional Reporting. The Middle Class Tax Relief and Jobs Creation Act (MCTRJCA) of 2012 amended the Social Security Act to require a claims-based data collection system for Medicare Part B outpatient therapy services, including physical therapy (PT), occupational therapy (OT), and speech-language pathology (SLP) services. The system collects data on beneficiary function during the course of therapy services to better understand beneficiary conditions, outcomes, and expenditures. Beneficiary function information is reported using 42 nonpayable functional G-codes and seven severity/complexity modifiers on Part B therapy claims for PT, OT, and SLP services. SNF billers and therapists are encouraged to review the revised reference chart. The Centers for Medicare and Medicaid Services (CMS) Supplemental Medical Review Contractor (SMRC) has recently announced that they have initiated a special medical review study of SNF Medicare Part A Therapy Services. Per the SMRC website, Project Y4P0432 – Skilled Nursing Facility (SNF) Therapy Services (08/11/16) was requested by CMS based upon the findings of a recent Office of Inspector General (OIG) report entitled Skilled Nursing Facility Billing for Changes in Therapy: Improvements are Needed, OEI-02-13-00611. In this study, the OIG evaluated how SNFs utilized three new Minimum Data Set (MDS) patient assessments that were implemented in FY 2011 and 2012 to better reflect the amount of therapy provided. The new assessments better capture when beneficiaries start therapy, end therapy, and decrease or increase therapy significantly enough to impact the Resource Utilization Group (RUG) payment case mix. In the report, published June 2015, the OIG suggested that some SNFs may be using the new assessments incorrectly, which could result in improper payments. Per the SMRC website, as directed by CMS, Strategic Health Solutions will conduct post payment medical review of the SNF Therapy services. The details of how many SNF providers will be reviewed was not provided. However, the SMRC did provide a link to an example Additional Documentation Letter for this study. Want to enhance organizational success? Want to prepare for the regulatory future? Want to have superior performance outcome? If you answered YES to any or all of the above be sure to submit your Intent to Apply (ITA) for a 2017 Quality Award by 8 pm EST November 17, 2016! The overall application fee is reduced up to $700—a $200 savings for Bronze applicants, a $400 savings for Silver; and $700 savings for Gold. Weekly tips on writing a successful application from Quality Award staff after the Intent to Apply deadline till the application deadline. Applicants may apply for three progressive levels of awards: Bronze, Silver, or Gold, each of which requires a more detailed and comprehensive demonstration of systematic quality. Centers must receive an award at each level to progress to the next level. The AHCA/NCAL National Quality Award Program recognizes long term and post-acute care providers across the nation that strive for improved quality care. The program sets high standards for quality based on the Baldrige Performance Excellence criteria and encourages organizations to commit, achieve, and excel in quality performance. As always, feel free to reach out to Quality Award staff at qualityaward@ahca.org. New research conducted by AHCA/NCAL found that the rehospitalization rates in nursing facilities with at least one RN certified in gerontological nursing by the American Nurses Credentialing Center (ANCC) consistently have run at least two percentage points lower than the national average since 2011. Given the similarities of many aspects of geriatric nursing, it is likely that assisted living communities would also see a correlation between having a ANCC Board Certified RNs and reduced rehospitalization rates in their communities. Lower rehospitalization rates are critical to being competitive in today’s health care marketplace that focuses heavily on value based purchasing and financially penalizes acute care settings with high rehospitalization rates. NCAL members are encouraged to check out AHCA/NCAL Gero Nurse Prep. Watch this video to learn more about AHCA/NCAL Gero Nurse Prep or click on the course preview to get a quick view of this engaging on-line curriculum designed to help RNs pass the ANCC exam. Join the LTC Trend Tracker Team for the Monthly Q&A Focused on Assisted Living! The LTC Trend Tracker team hosts monthly Q&A sessions. This is an opportunity to learn about changes coming to LTC Trend Tracker and ask any questions you may have about LTC Trend Tracker. For the September session the team will highlight the new assisted living measures coming to LTC Trend Tracker and other brand new features! The session will be on Thursday, September 15th 2pm - 3pm Eastern. Please register here prior to the webinar. Beginning last Sunday Sept. 11 and continuing through Saturday, Sept. 17, thousands of America’s assisted living communities and their staff, residents, families, volunteers, and local members of their community will celebrate National Assisted Living Week® (NALW). The national observance—which begins each year on Grandparent’s Day—honors the individuals served, as well as the individuals who serve, in assisted living and residential care communities across the nation with special activities and events. Sponsored by the National Center for Assisted Living (NCAL) since 1995, this year’s NALW theme this year is “Keep Connected.” The theme recognizes the increasing opportunity technology offers to enhance the care and overall experience in assisted living communities, as well as encouraging access to older adults interested in new technologies and the internet. “Keep Connected” also acknowledges the deep bonds staff and residents form, as caregivers nobly serve those living in assisted living communities. Assisted living caregivers and members of the public are encouraged to share their celebrations throughout the week on social media with the hashtag, #NALW. · In 2005, 2 percent of older adults used social media. In 2015, that percentage is 35 percent. · Older adults are among the least likely to have high-speed internet access. Just 31 percent have broadband at home. · The frequency of internet use among those who do have high-speed access is relatively close to the usage levels of younger users. · Among older adult internet users, 62 percent look for news online and 34 percent do so on a typical day. Nearly 90 percent send or read email and more than half exchange email messages on a typical day. · Currently, more than 835,200 individuals live in more than 30,200 assisted living or residential care communities across the United States. · The average assisted living community has 33 beds. · Assisted living companies and communities employ 416,300 individuals. · More than half (53 percent) of assisted living residents are 85 years old or older. · Nearly 40 percent of residents are living with some form of dementia, such as Alzheimer’s disease, and more than 20 percent of assisted living communities offer dementia care units or exclusively serve adults with dementia. · A little more than 15 percent of residents rely on Medicaid for their daily care, and 47 percent of assisted living communities are Medicaid certified. Sources: Centers for Disease Control and Prevention Services, National Center for Health Statistics and the Bureau of Labor Statistics. For more information on National Assisted Living Week, please visit www.nalw.org. The National Academies of Science, Engineering and Medicine released a report recommending that Medicare and Medicaid reform should engage caregivers in delivery processes. The study reviewed the prevalence of family caregiving for older adults and examined the evidence on the effectiveness of programs, supports, and other interventions designed to support family caregivers. The committee also recommended that state governments address the health, economic and social challenges of caregiving for older adults. The National Center for Assisted Living (NCAL) is applauding an effort by the co-chairs of the U.S. Senate Special Committee on Aging, Senators Susan Collins (R-ME) and Claire McCaskill (D-MO), to ensure access to assisted living communities for individuals who rely on Medicaid to cover their long term care services. The senators sent a letter to the Centers for Medicare and Medicaid Services, urging the agency to provide additional guidance regarding the implementation of a final rule defining home and community-based settings (HCBS) through the Medicaid waiver program. NCAL and its member assisted living providers collaborated with CMS and commented on the proposed rule before it was finalized in early 2014. Now, as state Medicaid programs prepare for implementation in 2019, NCAL and its state affiliates remain concerned that certain assisted living communities may be excluded from participating in the waiver program. With many assisted living residents unable to live on their own, this would only drive assisted living residents to more institutional settings, contrary to the intent of the HCBS rule. As a member of the Center for Excellence in Assisted Living, the association is working with the coalition to educate CMS about the needs and demands of assisted living residents. For more information about the HCBS final rule, please visit www.medicaid.gov/hcbs. 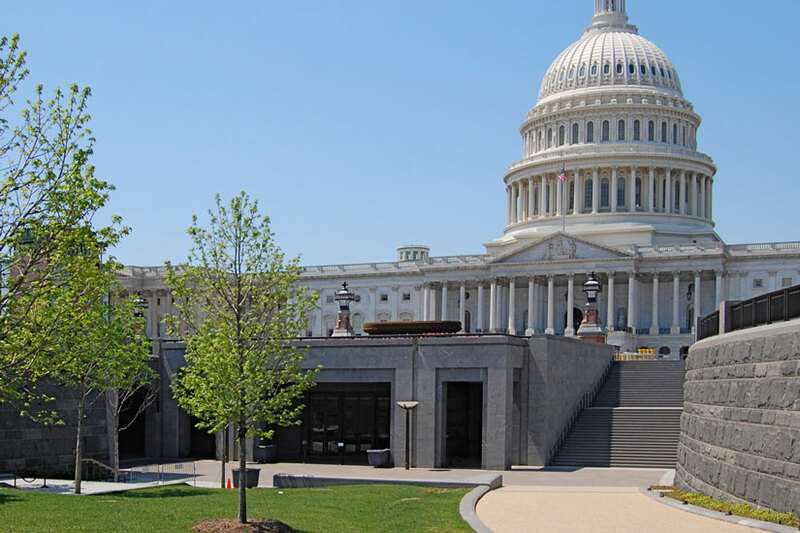 The House Ways and Means Subcommittee on health held a hearing last week focusing on how the post-acute space could move more toward value-based payments (VBP). The hearing was held ahead of the introduction of changes to a bill from Ways and Means Chairman Kevin Brady (R-Texas) that seeks to create one value-based system for all post-acute payments. The bill proposes that five percent of Medicare payments to post-acute provided be withheld and redistributed based on a set of cost-savings and geographic criteria with a functional measure phased in after two years. The American Health Care Association is supportive of the move toward more value-based systems but is not supportive of the particular criteria laid out in this bill. AHCA hopes to work with the committee and Chairman Brady in order to make productive changes to the legislation. AHCA believes that any value-based system should take no more than two percent from providers, the rate set in both the current skilled nursing and hospital VBP systems. Skilled nursing facilities just began a value-based payment program tailored specifically for the setting based on rehospitalization measures. The program was passed as part of the Protecting Access to Medicare Act of 2014. On September 6, AHCA/NCAL submitted an 11 page comments document to the Centers for Medicare and Medicaid Services (CMS) in response to a proposed rule titled Medicare Program; Revisions to Payment Policies Under the Physician Fee Schedule and Other Revisions to Part B for CY 2017; Medicare Advantage Pricing Data Release; Medicare Advantage and Part D Medical Low Ratio Data Release; Medicare Advantage Provider Network Requirements; Expansion of Medicare Diabetes Prevention Program Model, July 15, 2016. The AHCA/NCAL comments focused on 6 specific subject areas within the proposed rule. CMS is proposing to replace the existing physical therapy (PT) and occupational therapy (OT) evaluation and re-evaluation codes with new and expanded evaluation Current Procedural Terminology (CPT-4) codes developed and adopted by the American Medical Association (AMA). The new codes would be effective January 1, 2017. AHCA supports the adoption of the new codes. While the new PT and OT initial evaluation codes would reflect three tiers of complexity, CMS is rejecting a recommendation to introduce tiered pricing, and proposes to pay one fixed price for initial PT and OT evaluations regardless of the complexity of the evaluation as reflected by the new codes. AHCA recommended that CMS reconsider their proposal and that PT and OT evaluation prices should be tiered to reflect the complexity of that service. AHCA also recommended that CMS work with stakeholders to provide adequate education before the new codes are implemented in 2017. CMS listed 10 CPT codes commonly used to bill for Part B therapy services that are subject to a statutory pricing review and solicited comments on how they should be revalued, if necessary. No specific code value changes were proposed at this time. AHCA commented that it supports efforts at determining proper payment rates, but noted that the historical process to develop values for therapy-related codes has not been transparent, and has requested more transparency. CMS noted that several procedure codes commonly used for Part B PT, OT, and speech-language pathology (SLP) services were requested to be included in the list of allowed telehealth services, but they rejected the request citing that the Medicare statute does not list PT, OT, and SLP professionals as individuals that can furnish telehealth services under Medicare. AHCA noted that several states permit PT, OT, and SLP services via telehealth and requested that CMS use its authority under the Center for Medicare and Medicaid Innovation to conduct a demonstration of telehealth therapy services in states that permit this service delivery method. AHCA also recommended that CMS eliminate or soften the current SNF telehealth frequency limitations that prevent a patient’s admitting physician from furnishing telehealth services more than once per month. CMS is proposing two policies that aim to protect beneficiaries in Track 3 MSSP ACO programs in rare cases where they were admitted to a SNF with fewer than three qualifying hospital days when they were not eligible for the 3-day waiver. In the first scenario, the beneficiary became ineligible for the waiver, but the ACO was not informed by CMS due to a government time lag. In this scenario, CMS proposes that neither the beneficiary, the ACO, or the SNF would be financially liable. AHCA supports the adoption of this proposal. In the second scenario, the ACO has the information to be aware that the beneficiary is not eligible for the 3-day stay waiver, but proceeds to transfer the patient to a SNF early by improperly applying the 3-day waiver. In this scenario, CMS proposes to waive the beneficiary liability, but would hold the ACO and the SNF financially liable for the SNF services that did not meet the hospital 3-day stay requirement. AHCA supports the beneficiary protections portion of this proposal, but opposes the proposal to hold the SNF financially liable because of information received in good faith from an ACO referring hospital, but which the SNF cannot independently verify. Under the proposed rule, CMS would release on an annual basis Medicare Advantage (MA) and Part D data that has historically considered to be proprietary and confidential. AHCA supports the proposal but encouraged CMS to publish more current data than is proposed. Under the proposed rule CMS would require providers and suppliers that contract with MA organizations (including first-tier, downstream, and related entities (FDR)) to also be enrolled as approved Medicare providers and suppliers through the Provider Enrollment, Chain, and Ownership System (PECOS) as is currently required for Medicare fee-for-service (FFS) payment. While AHCA supports the intent of the proposed requirement, there is some concern that the proposed language is unclear and could become overly burdensome to SNFs if misinterpreted. AHCA seeks clarification from CMS that employees or contracted service professionals or agencies of providers of service, including SNF, do not meet the definition of first-tier, downstream, and related entities (FDR) as described in the proposed rule. If you have questions regarding the AHCA/NCAL comments please contact Daniel E. Ciolek, Associate Vice President, Therapy Advocacy at dciolek@ahca.org. On September 2, AHCA/NCAL submitted a 33 page comments document to the Centers for Medicare and Medicaid Services (CMS) contractor, the RAND Corporation, in response to a request for comments pertaining to a Data Element Specifications for Public Comment document prepared under the CMS Development and Maintenance of Post-Acute Care Cross-Setting Standardized Assessment Data project. The Improving Medicare Post-Acute Care Transformation Act of 2014 (IMPACT Act of 2014) requires that the Secretary of the Department of Health and Human Services implement submission of standardized data from post-acute care (PAC) providers using the assessment instruments that CMS currently requires for use by home health agencies (HHAs), inpatient rehabilitation facilities (IRFs), long-term acute care hospitals (LTCH), and skilled nursing facilities (SNFs). It requires the submission of standardized data on specified assessment domains and specified quality measurement domains. It specifies that the “data be standardized and interoperable so as to allow for the exchange of such data among such post-acute care providers and other providers and the use by such providers of such data that has been exchanged, including by using common standards and definitions in order to provide access to longitudinal information for such providers to facilitate coordinated care and improved Medicare beneficiary outcomes….” In the SNF, the Minimum Data Set (MDS.3.0) is the patient assessment instrument where these cross-setting data elements would be located. It is to be determined whether these elements would replace, or be added-to the existing MDS 3.0 data elements. 4) an array of 12 specific Special Services, Treatments, and Interventions. The AHCA/NCAL comments emphasized support for the objectives of the IMPACT Act, but that more work was needed on the development of the proposed standardized cross-setting data elements. 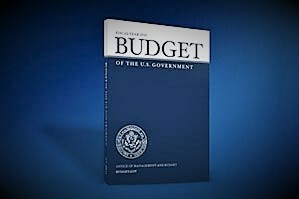 Recommendations were offered to address general concerns that changes to existing MDS item definitions and/or reference lookback windows may 1) impact existing SNF Medicare and Medicaid case-mix payment models and quality measures, and 2) create significant additional SNF provider burden. The AHCA/NCAL comments related to the individual data elements were intended as stand-alone item-specific comments and were generally structured as follows: 1) summary of the proposed data element, 2) AHCA/NCAL’s position on the cross-setting importance of the data element domain, 2) components of the proposed data element that AHCA/NCAL supports, 3) AHCA/NCAL’s impression of the impact of the proposed data element on SNF MDS 3.0 reporting, 4) AHCA/NCAL’s recommendation for next steps for the proposed data element before we can support it, and 5) AHCA/NCAL’s rationale for the recommended next steps. Are you a 2016 Bronze Quality Award recipient? Or a previous Bronze Quality Award recipient? Are you looking to continue on your Quality Award journey but not sure how to get started? Look no further than the 2017 Silver Criteria Series. This ten-part webinar series is designed to help Silver applicants understand the criteria and apply it to their organization. The series includes an introduction of the program, explanation of the Silver evaluation process, followed by eight webinars covering each section of the Silver Criteria; from the Organizational Profile to Categories 1-7. Each webinar provides an explanation of the criteria and questions to help applicants consider how to respond for their unique organization. Before beginning the application process and viewing the Silver Criteria Series, you should review the 2017 Silver Application Packet, containing the important program information and instructions, as well as the Silver criteria. As always, Quality Award staff is here to help you with your question, just email us at qualityaward@ahca.org. And be sure to remember these important deadlines! September is National Preparedness Month. On September 16th the final rule, Emergency Preparedness Requirements for Medicare and Medicaid Participating Providers and Suppliers, will be posted in the Federal Register. This will impact our SNF and ID/DD members. It can currently be reviewed online. AHCA Staff are currently reviewing the rule and will provide a more detailed summary. It is encouraged that our members take this time to review their emergency preparedness policies and plans. Additionally, the AHCA/NCAL Emergency Preparedness Committee is working on three new resource guides that will be published on the AHCA/NCAL website later this Fall. The new resources will be a 101 Guide, table top exercises and resources for implementing the CMS Emergency Preparedness Checklist. Please visit our website at https://www.ahcancal.org/facility_operations/disaster_planning/Pages/default.aspx to assist with your emergency preparedness planning. The countdown is on. Only one week remains to register for the 67th AHCA/NCAL Annual Convention & Expo at the Advance Registration rate. Hurry, you must register before the September 21 deadline. After this date, on-site registration rates apply. If you missed the advance registration period, you may register on-site at the event in Nashville, Sunday, October 16. Registration will be open at 6:45 am. Thousands of your long term and post-acute colleagues from across the country, have already confirmed their spot. What are you waiting for? Get all the information you need online, Including speakers, education sessions, Expo Hall hours and exhibitors, along with the full schedule of networking opportunities and events. A significant shift we've experienced in our communities relates to discharge to community. Our role is to create seamless transitions that return residents safely home - a departure from our “long stay" roots. As a result, skilled nursing centers are responsible for assisting individuals in improving functional independence and adequately preparing individuals for discharge from the center. Assuring individuals and their families are able to manage care needs after discharge is critical to preventing rehospitalizations. On September 28 at 3 pm Eastern Time join AHCA SVP of Quality and Regulatory Affairs Dr. David Gifford and his team of experts offer valuable insights on how to provide high quality and seamless service related to discharge to community. To register for this live webcast, “Discharge to Community: Creating Seamless Transitions,” click here. This webcast is part of an 8-part Quality Initiative Series designed to provide in-depth instruction and strategies to help AHCA/NCAL members effectively meet impending payment and regulatory changes. For more information and list of upcoming webcast dates, click here.